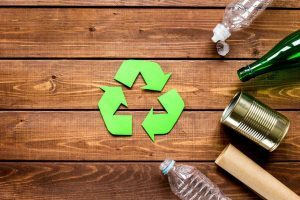 Ecology’s Hesperia Recycling Center is proud to serve the residents and businesses of Adelanto and the surrounding areas with easy access to recycling. Whether you are looking to dispose of scrap metal or CRV recyclables, our recycling facility near Adelanto provides a convenient drop-off point for people in the area. Our recycling center processes both small amounts of residential recyclables and larger loads of industrial scrap. Our streamlined process ensures that the dropoff is effortless, you are quickly compensated for your redeemable recyclables, making recycling easy and doable in your busy life. 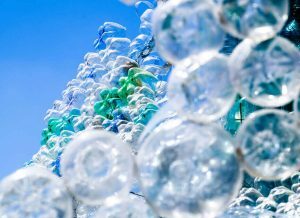 Most people know that recycling is good for the environment, not everyone is clear on why. 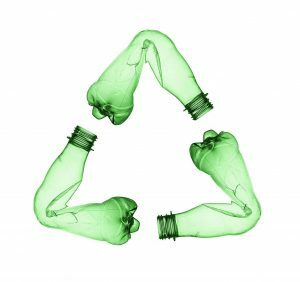 By regularly participating in recycling, you can make an impact, positively affecting the environment. 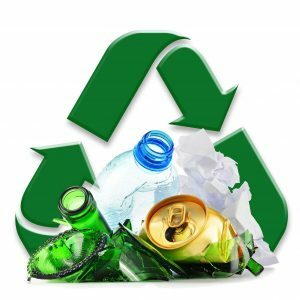 When recyclable items are placed in the trash rather than recycled, they can cause pollution either by being placed in landfills or taken to incinerators. In addition, products created from recycled materials cause less environmental damage than mining for new materials. So, toxic wastes and gases are reduced, keeping water sources and the air lean. In addition, recycling pays! Valuable scrap metals can earn substantial sums of money. When turned in in bulk, CRV materials can also provide excellent compensations. Scrap metal is any metal that is no longer useful for its original purpose. 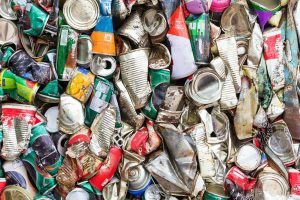 Old appliances, car parts, wiring, old bicycles, hardware in houses, industrial scraps and more are just some examples of commonly found scrap metals. However, not all metals are the same. While the majority scrap metal can be recycled, they have different values and uses, so are often separated between ferrous metals and non-ferrous metals. Ferrous metals are those that are magnetic. Iron and steel are the main components of any ferrous metal. Sometimes other elements can be mixed in with ferrous metals, but iron and steel will be the majority of its composition. Some common sources of ferrous metal scraps include pieces of old vehicles, old appliances, demolition scrap, structural steel or metal offsets from manufacturing warehouses and industries. Because of its magnetic properties, ferrous metals are easier to process. For this reason, they are less valuable and receive smaller compensations for recycling than non-ferrous metals. But, it’s still worthwhile to recycle your ferrous scrap metals. In addition to receiving compensation, you’ll get the satisfaction of knowing that you’re making a positive contribution to the environment and taking care of Adelanto’s natural resources. Non-ferrous metals differ from ferrous metals in that they are not magnetic and do not contain iron or steel. Stainless steel is one exception, as it is categorized as non-ferrous. Some common sources of non-ferrous metals are window frames, household hardware (plumbing), wires, bicycle frames, and some car parts. Non-ferrous metals typically command higher prices than ferrous metals. Some CRV items are also included in this category. Some examples of non-ferrous metals accepted at our Recycling location include copper, aluminum, brass, and tin. CRV or the California Refund Value is a regulation effective in California created to ensure that consumers are paid for recycling certain items at certified recycling centers. This helps promote recycling by citizens and businesses alike. 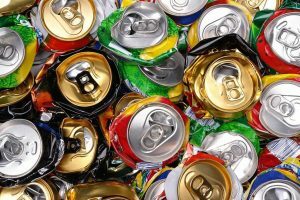 Some examples of items that fall under this regulation include soda, beer and juice cans, vegetable juice cans, and wine bottles, etc. This packaging is often made of aluminum, plastic, glass and layered metal. 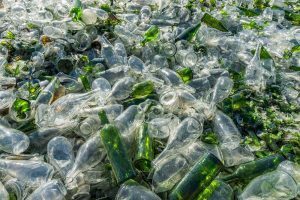 The cost of packaging is usually included in the price of the good, and by recycling you can earn this money back. When processing small amounts of CRV, centers will often pay per piece. However, if you’re bringing in a large load (50 pieces or more), you’ll likely be paid by weight. When bringing your items into our recycling facility, please remember the containers should be clean and dry. Ecology is committed to supporting both businesses and residents in recycling. Our center for recyclables is designed to serve the entire region of the high desert including Adelanto. Our conveniently located facility makes recycling trips convenient and easy for residents in this area. In order to assist our industrial, business and corporate clients who recycle large quantities of scrap metal and CRV, we are happy to provide roll-off bins, delivered directly to your property. When your bin is full, we’ll help with pick up and haul it back to our facility. The bins provided come in a variety of sizes to meet the needs of your organization. Please contact us if you have any questions about our policies regarding any items you wish to drop off. The city of Adelanto is one of the smallest in San Bernardino County. Situated in the Mojave Desert, Adelanto, along with the rest of the region, is characterized by a semi-arid climate. Adelanto has a rich and interesting history, originally founded as a planned community. In the days after its founding, the city was known for its orchards of deciduous fruit trees. Fresh fruit and cider were enjoyed by the city’s residents until the Great Depression changed the course of Adelanto’s history and the orchards were replaced by poultry ranches. Ecology is proud to serve the residents and businesses of Adelanto at our conveniently located recycling center. The center is user-friendly and prepared to handle both household recycling items and large amounts of industrial scrap. Give us a call to find out more about our recycling rates for scrap metals and CRV. We look forward to helping you meet your recycling needs soon.